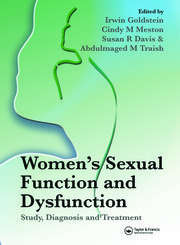 This is a new book on the integrated management of vulvovaginal disease. The authors come from a variety of backgrounds - gynaecology, dermatology, pathology and psychology - and describe a multidisciplinary approach to these conditions. 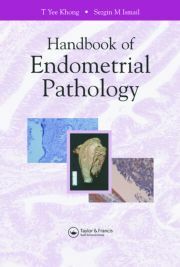 The book has the most complete classification of vulvovaginal disease published, based on the etiology of 275 conditions; coverage includes benign, malignant, and functional (including psychosexual) diseases. Each disease has a descriptive summary, pathological features, and treatment guidelines. The book is illustrated in full color throughout. Graeme Dennerstein RFD, MBBS, FRCOG, FRANZCOG, is a Melbourne-based, currently practicing obstetrician and gynecologist. He was the Head of the Dermogynaecology Clinic at the Mercy Hospital for Women in East Melbourne. James Scurry MD, FRCPA, is an anatomical pathologist. He developed a research interest in vulvovaginal disorders while reporting for 10 years for the Dermogynaecology CLinic, Mercy Hospital for Women, Melbourne. John Brenan MBBS[Hons], FRCAP, FACD, is a currently practicing consultant dermatologst. He was President of the Australasian College of Dermatologists and a life member of the American Academy of Dermatology, a member of the European Academy of Dermatology and Venereology and was Honorary President of the World Congress of Dermatology in 1997. He was the consultant dermatologst to the Mercy Hospital for Women and dermatologist for the Dermogynaecology Clinic at that hospital. David Allen MBChB, MMed, PhD, FCOG(SA), FRANZCOG, CGO, is a certified gynecological oncologist. He is an Associate Professor in the Department of Surgery at the University of Melbourne. Maria-Grazia Marin MAPS, is a psychologist in private practice in Melbourne and was the psychologist to the Dermogynaecology Clinic at the Mercy Hospital for Women from 1989 to 2001. "…The clinical photographs alone comprise a useful atlas, and the descriptions and colored pictures of histopathology provide a textbook in themselves. The Therapeutic Summaries are accurate and current….The comprehensive tables to assist in diagnosis and classification are rare and choice." "…whether you are a general practitioner with little experience, or a specialist with experience in the area, you will find this book a good value and useful." "…I have used [the book] in my clinics, and it has rarely failed to address the vulvovaginal conditions I meet in everyday practice….This manual is highly recommended, not to gather dust in a library but to be immediately available in every clinic."